Danny Kaye sang while portraying Hans Christian Andersen “Wonderful Copenhagen” and the capital of Denmark is truly lovely. 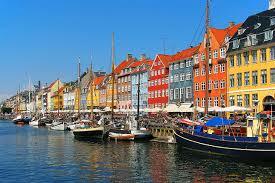 However as with all capital cities such as Copenhagen you could never possibly be able to see everything. I have included here some highlights of this city by the Baltic Sea. 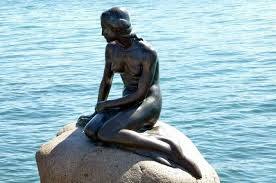 No visit to Copenhagen is ever complete without taking a look at Langelinje Pier which is the home of one of the city’s most popular tourist attractions the sculpture of The Little Mermaid. In the year 2013 this little sea maid turned 100 years old. She was unveiled on August 23, 1913 and was given as a gift to the city by Danish brewer Carl Jacobsen. The sculpture is made out of granite and bronze was an inspiration from a fairy tale written by Hans Christian Andersen. If you would like to do some shopping then the place to head for is Copenhagen’s largest shopping area found right in the heart of the city. I’m talking about Stroget which is known as one of Europe’s longest pedestrian streets. Here you’ll find it a pleasure to stroll and take a look at all of the shops along the way. This street is 1.1 kilometers long and stretches from City Hall Square to Kongens Nytory. For fashion you’ll discover lots of international brands such as Prada and Louis Vuitton. Another reason people enjoy spending time here is that this is the place to find street performers like acrobats, musicians and magicians giving delightful shows. Built in the 1700s one of the most incredible works of Danish Rococco architecture is Amalienborg. It consists of four identical buildings – Christian VII’s Palace or Moltke’s Palace (a guest residence), Christian Viii’s Palace or Levetzau Palace (a guest palace for Prince Joachim and Princess Benedikte), Frederik Viii’s Palace or Brockdorff’s Palace (home to the Crown Prince family and Christian IX’s Palace or Schack’s Palace (home to the Queen and Prince Consort). Right in the middle of the palace square is a statue of King Frederick V created in 1771. You can get an idea of what royal life was like from the past to the present at the Amalienborg Museum housed in Christian VIII’s Palace. Every day at 12 noon you can be witness to the changing of the Royal Guard, known as Den Kongelige Livgarde. 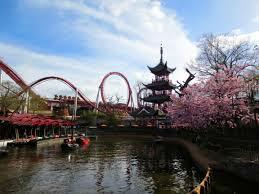 Both adults and children enjoy the wonderful amusement park located in the center of Copenhagen called Tivoli. It opened on August 15, 1843 and has been giving pleasure to visitors ever since. Everyone enjoys riding the famous wooden roller coaster which turned 100 in 2014. Tivoli counts as the world’s second oldest amusement park. It offers lots of rides, green oasis, gourmet food, rock concerts and a whole lot more. There are special events on the holidays. Every Saturday a Tivoli tradition is fireworks. When people are sightseeing many of them enjoy visiting zoos. A real treat is the Copenhagen Zoo which offers a unique look at polar bears, North Atlantic birds and seals at the Arctic Ring. There are over 3,000 animals from all over the globe and all together there are 264 different species. At the Tropical Zoo you have a chance to take a walk in the rain forest and view crocodiles, snakes, marmosets, hornbills, exotic birds and even butterflies. Copenhagen Zoo is also home to Europe’s greatest Children’s Zoo where children always have a great time getting up close with all kinds of animals. Take the time to view great art at Denmark’s National Museum which features exhibitions from the Stone Age, the Viking Age, the Middle Ages, the Renaissance and Modern Danish history. The museum is located in The Prince’s Palace. You’ll discover that the Gallery includes a wide corridor that has linked rooms and sleeping quarters. The National Museum has a large ethnographical collection, a classical and near eastern antiquities collection, a coin and medal collection and a toy museum. Children particularly enjoy The Children’s Museum where they can take a trip on a Viking ship. You can take a look of most of Copenhagen from the Christianborg Palace which has a tower that rises 106 meters. You can take in the spectacular views for free and afterwards relax and dine in The Tower’s restaurant. This is the highest tower in the city. Nowadays Christianborg known also as Borgen is home to the Danish Parliament. There is so much to see and do in Copenhagen and these are just some of the highlights. It is truly a city to visit and experience.